If you've been following me on Instagram and twitter, you'll know that I was in abarbados not long ago! I was celebrating the end of uni and getting a new job so the holiday was planned quite last minute! Which meant that I chucked in my favourite products and ended up packing lightly.. with just my favourites. As it's been a while since I've done a 'what's in my makeup bag' I thought it'd be nice to share with you what I took and why they're my favourites. 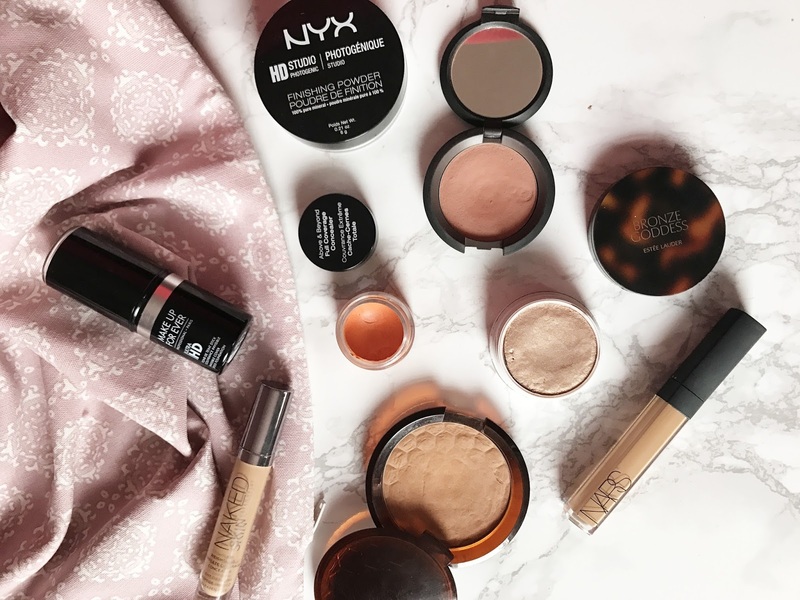 This post is focusing on my face makeup products. I've be spoken about this foundation in a recent blog post featuring my foundation collection so you can check that out for a full review and swatch pictures. I love that it's a long wearing foundation and gives you good coverage. I wore a light layer of this everyday just to even out my skin a bit more. I love how easy this foundation is to blend and always appreciate that it's mess free. Can I go anywhere without this concealer? No. Even though it doesn't work to completely eliminate my dark under eye circles, it still makes them look brighter. It's a bit messy to use because it's in a jar, but the heat of the Caribbean melted this slightly so it blended in more easily than it does at home. I wanted two concealer because I wasn't sure how tanned I'd get. The NAKED concealer is a nice light weight concealer that's easy to blend and gives a natural finish. But sometimes it's not enough to cover my problem areas. The NARS creamy concealer does a good job at covering but can sometimes by drying. So I pick and choose which concealer I want at the time. It was nice to have two concealers with different textures to make sure I was able to cover different problem areas. I would sometimes just apply concealer when I wasn't in the mood for a really heavy finish. 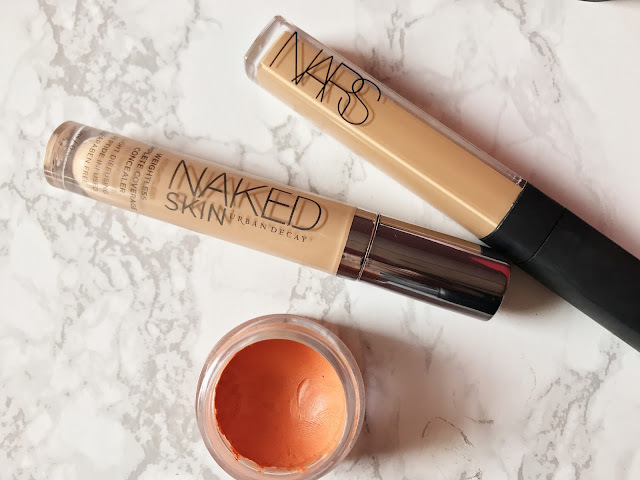 See my most recent post for a full review of these two concealers. 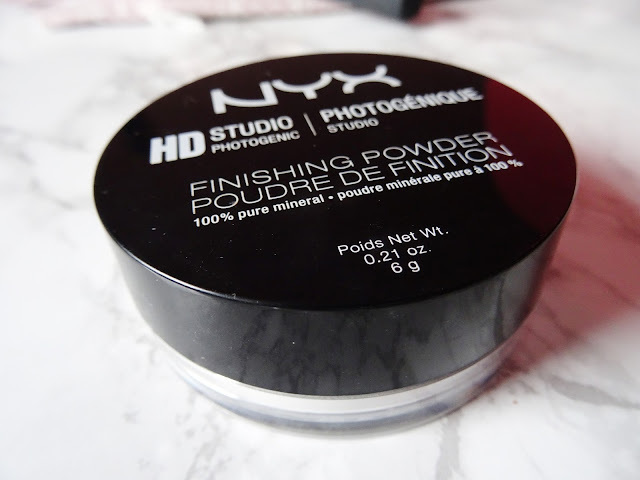 It's annoying that most of my setting powders are in big bulky containers, so I really only had this option. I've been meaning to test out this powder for a while now as my best friend has said such positive things about it. I like that it leaves your sling feeling smooth and does a good job at mattifying the skin. It would be unfair to give my review on it after only using it on holiday as my skin is likely to sweat more than it usually would. But I'll feedback to you in a few months time to let you know how it's performing. Because I'm never sure how tanned I'll be, I always like to keep a good bronzer with me so that I can warm up my foundation if need be. This is my favourite bronzer because it gives a glowy, sun-kissed look which of course, I love! 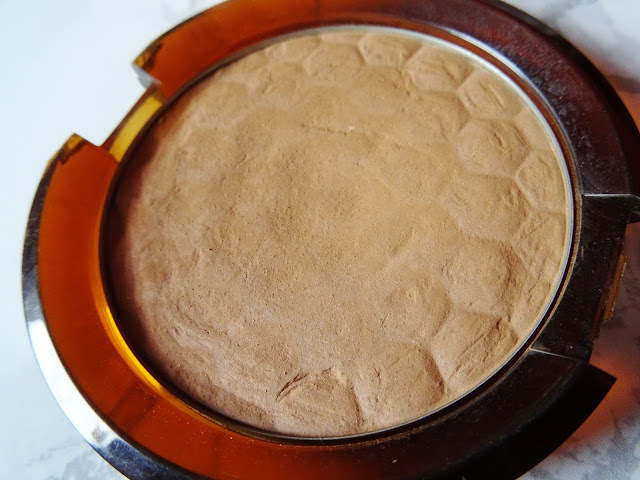 This bronzer is very pigmented and long lasting, which in my book, is great. 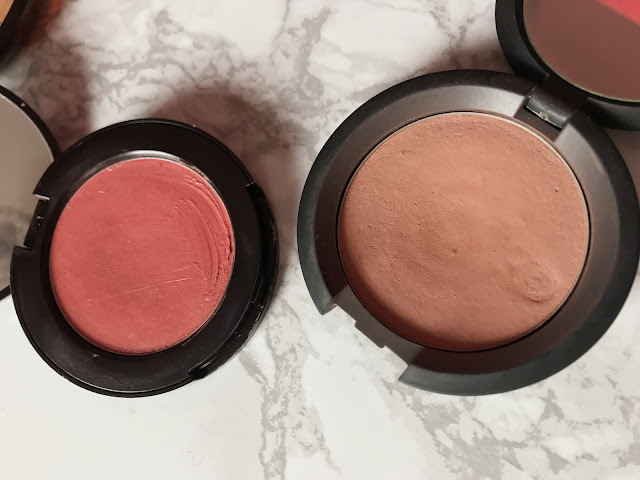 It was totally unnecessary for me to bring blush, especially when the bronzer did a good job of adding colour back to my face, but me being the makeup lover that I am, had to bring some with me. I stuck to one Cream blush and one powder blush. 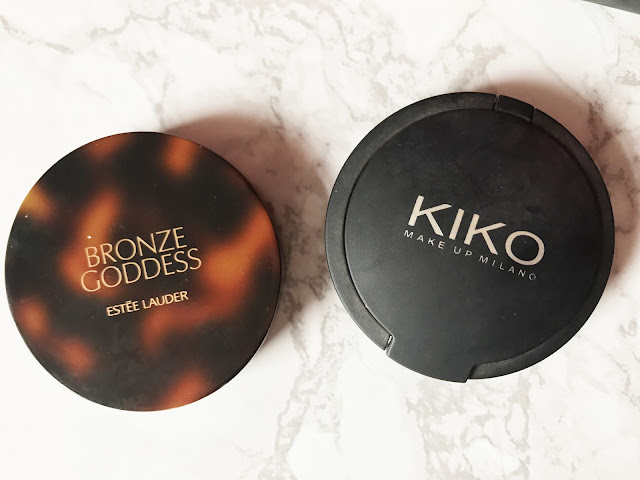 The Kiko Soft Touch blush is by no means a surprise, it's my absolute favourite blush and has a beautiful coral, peach finish. However the Estée Lauder cream blush is not something I've talked about much on my blog, but I've been wearing it a lot recently. It's gorgeous on its own and has a stunning reddish pink colour to it. This is perfect for me when I'm a little darker. I love that it gives a natural look and doesn't require too much work. I'm obsessed with this highlighter, I've been using it pretty much every day for the past month. I've had it in my collection for a while and just never found a easy way to use it. I love that you can choose the intensity of this highlight, at first it's quite daunting as it's almost blinding! But as you blend it in, it gives a gorgeous glow that looks natural and radiant. 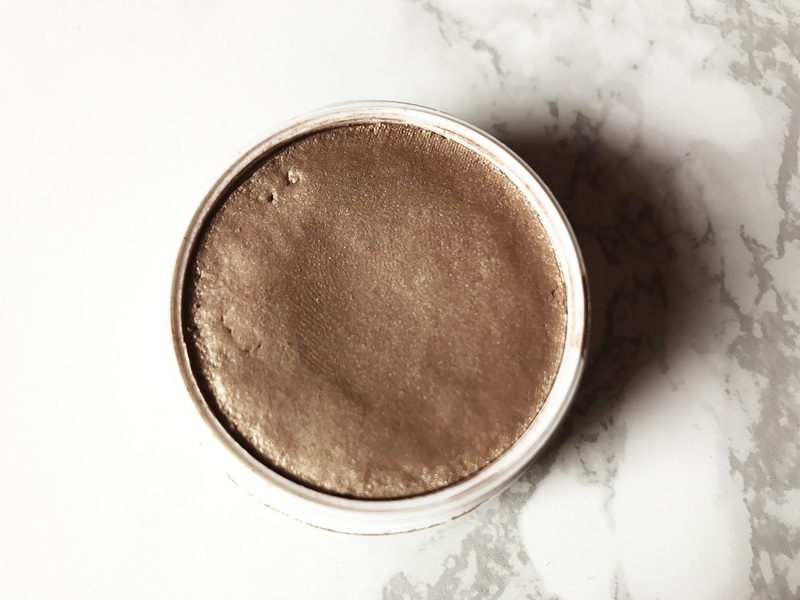 I have my eye on a few other cream highlighters that I want from Colpurpop and I'll definitely be making an order soon. What are your go to holiday products?